Finding Good Days In A Disappointing Snow Season In The Southern Hemisphere. The 2018 season started on time in June, after a serious drought, but sputtered out before it ever really got going. The Chilean Central Zone ended with a 54 percent precipitation deficit, despite ENSO-neutral conditions. For a ski area in Chile not to get to the Sept 18 National holidays is shameful. Which is not to say there were no good days, just that they were few and far between. Being relatively free to select those good days, I can share a couple of snaps that are deceivingly good. The Las Vegas lift out of the La Parva village on a cold day in July. Helps to know where the rocks aren’t. The conditions were not sufficiently good to ski other Central Zone ski areas, where I am not so intimately familiar with their thin base rock gardens. So in September we headed 560 miles to the south where Mother Nature was more accommodating. Our first lodging was the venerable and grandiose “Termas Puyehue Wellness & SPA Resort”, formerly the Gran Hotel Puyehue, founded in 1907. Back then, guests arrived by steam boat across the Lago Puyehue to enjoy its charming hot springs. 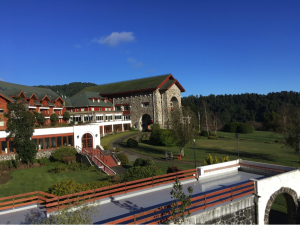 The hotel is very well located at the entrance to the Parque Nacional Puyehue, established in 1941, and the lovely Antillanca ski area, tucked up in a volcanic cirque 18 km away. This is reached at the end of a good dirt road that winds through temperate rainforest and lagoons. The snowpack was 6-10 feet, from the mid station up, as it had rained hard at the base. Here it can rain six feet a year, so when that falls as snow, it adds up, and 10-15 ft bases are not uncommon. I seized an unusually brilliant sunny day and headed up. Nary a rock to be seen, and superb spring snow. Heading down back off the crater towards the ski area, with the Puyehue Lake in the distance. 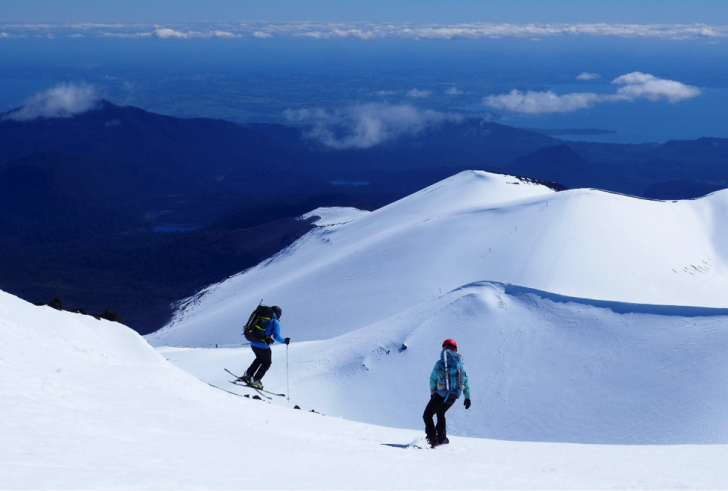 After the traditional September 18 mega-BBQ at a friend’s place in Puerto Varas, on the Llanquihue Lake, we drove back north 200 miles to Corralco ski area, on the Lonquimay Volcano. This time we chose a cozy cabin in Malalcahuello, a nearby up-and-coming mountain town nestled in a group of volcanos. Monkey puzzle trees greet you as you wind up through the forest to the barren eastern bowl of the volcano. Again, no rocks here, even at the end of September. 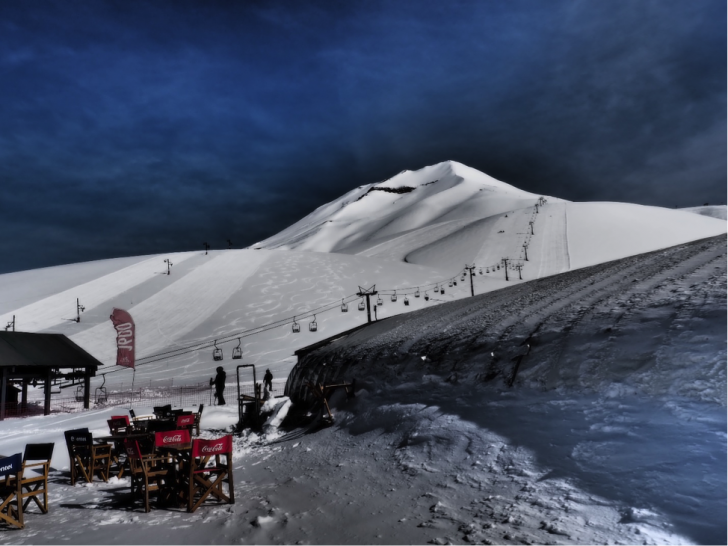 Corralco closed at the end of October, by far the latest closing for any ski area in Chile this year. If you liked this 2018 summary, and want to drill down to the nearly daily detail of how it panned out, try reading a bit of my 276-entry collaborative thread on the Teton Gravity Research website. 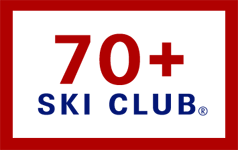 Click here for my Ski Chile comments. Born in 1955 and raised in Calgary, Alberta, Casey was fortunate to grow up with the Canadian Rockies beckoning within sight of his bedroom window. By 13 he was learning to ski at night at the Happy Valley resort on the city limits. Then a trip to Lake Louise in 1968 hooked him forever on big mountain skiing. His travels eventually took him overland south, all the way to Chile, where he picked up his skis sent from LA, taught skiing with a fellow Swiss traveler, and met Andrea, his Chilean wife-to-be. He has lived in Chile since 1983 and travels frequently around the country and overseas. 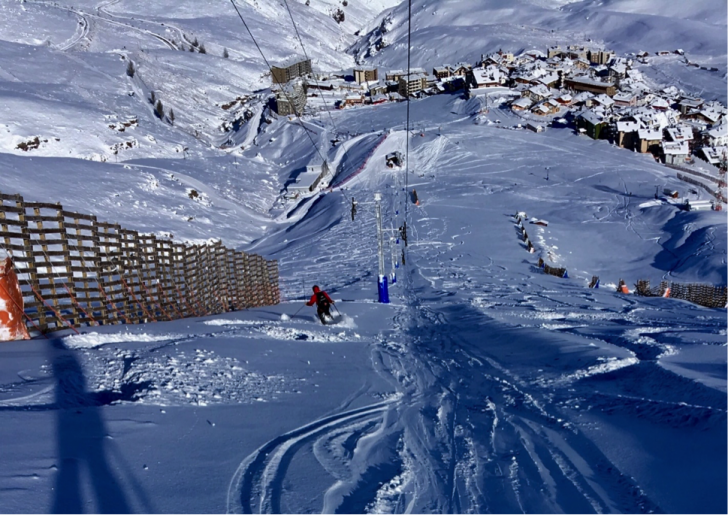 With the “Three Valleys”, the southern hemispheres largest ski area, only an hour away from his home in Santiago, he has continued to enjoy skiing in his free time from June to October, staying at his place in the La Parva ski area. 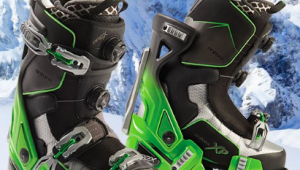 Hiking, biking, swimming and photography keep him active when off the slopes. Having travelled to 65 countries, skied on 5 continents, he speaks English, fluent Spanish, and a spattering of French. Seeing tourism as a sustainable industry, bringing stability and prosperity to Chiles warm peoples and amazing settings, his stated ambition is to encourage and help foreigners to plan a trip there and enjoy that which has been an inspiration to him for so many decades.